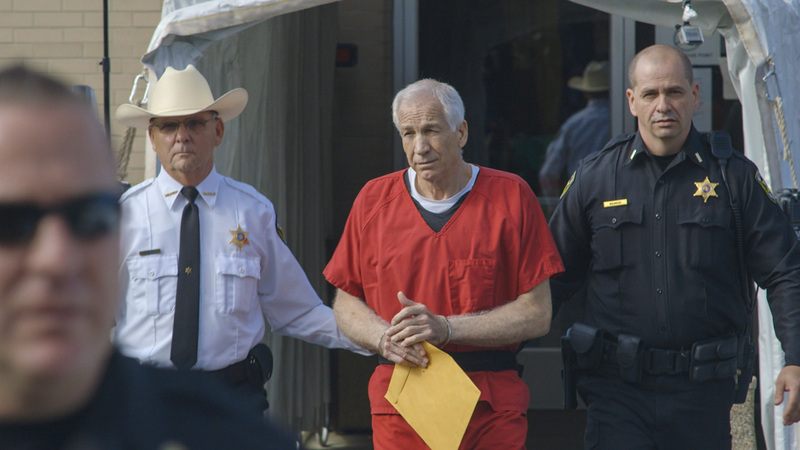 Sundance alum Amir Bar-Lev brings the story of the Penn State scandal to Documentary Premieres with HAPPY VALLEY. Bar-Lev has had a long association with Sundance, receiving Institute support for his directorial debut, FIGHTER, premiering his films THE TILLMAN STORY (2010) and MY KID COULD PAINT THAT (2007) at the festival, and also serving as co-producer on TROUBLE THE WATER (2008, grand jury prize winner, Oscar nominee). Producers for the project are Passion Pictures’ John Battsek, who produced TILLMAN and MY KID, among several other Sundance alums, who is also in Park City as producer of fellow 2014 entries CAPTIVATED: THE TRIALS OF PAMELA SMART, THE GREEN PRINCE and WE ARE THE GIANT; Asylum Entertainment’s Jonathan Koch, who was a camp counselor for Sandusky’s nonprofit The Second Mile, and Steve Michaels, son of sportscaster Al Michaels; and Frontline’s Ken Dornstein. Bar-Lev once again works with A&E IndieFilms, whose Bob DeBitetto, David McKillop, and Molly Thompson serves as executive producers, and whose combined past Sundance credits include UNDER AFRICAN SKIES (2012), THE IMPOSTER (2012), MAGIC TRIP (2011), CORMAN’S WORLD (2011), TILLMAN, THE SEPTEMBER ISSUE (2009), AMERICAN TEEN (2008). The film’s editor, Dan Swietlik, edited fellow 2014 Sundance title FED UP as well as AN INCONVENIENT TRUTH (2006, Oscar winner); while additional editor David Zieff also worked on alums WINNING TIME: REGGIE MILLER VS THE NEW YORK KNICKS (2010), CRAZY LOVE (2007), METALLICA: SOME KIND OF MONSTER (2004), and MY FATHER’S GARDEN (1996). Both of the film’s cinematographers have also had work in Park City before: Sean Kirby previously shot TILLMAN, AGAINST THE CURRENT (2009), ZOO (2007), and POLICE BEAT (2005); while Nelson Hume shot MY KID and THE WORLD ACCORDING TO SESAME STREET (2006). With impressive access to figures directly affected by the story, and, perhaps just as importantly, community residents reeling from the accusations, Bar-Lev handles an exceedingly difficult, tricky subject with deftness. Like in his investigation of the story behind the death and public valorization of Pat Tillman, the director challenges viewers to question the truth they believe they know to seek out thornier, more complex answers about hero worship, the court of public opinion, and their impact on everyday people caught in their wake. As they become available, I’ll link to the film’s website and to Bar-Lev’s Meet the Artist Sundance video profile and Indiewire filmmaker interview. For screening dates and times at Sundance, click the link in the first paragraph.